SYDNEY, Mar 11 2015 (IPS) - With less than a year to go before the United Nation’s annual climate change meeting scheduled to take place in Paris in November 2015, citizens and civil society groups are pushing their elected leaders to take stock of national commitments to lower carbon emissions in a bid to cap runaway global warming. Industrialised countries’ trade, investment and environment policies are under the microscope, with per capita emissions from the U.S., Canada and Australia each topping 20 tonnes of carbon annually, double the per capital carbon emissions from China. But despite fears that a rise in global temperatures of over two degrees Celsius could lead to catastrophic climate change, governments around the world continue to follow a ‘business as usual’ approach, pouring millions into dirty industries and unsustainable ventures that are heating the planet. In Australia, coal mining and combustion for electricity, for instance, has become a highly divisive issue, with politicians hailing the industry as the answer to poverty and unemployment, while scientists and concerned citizens fight fiercely for less environmentally damaging energy alternatives. Others decry the negative health impacts of mining and coal-fired power, as well as the cost of dirty energy to local and state economies. Globally, coal production and coal power accounts for 44 percent of CO2 emissions annually, according to the Centre for Climate and Energy Solutions. Australia’s reliance on coal for both export and electricity generation explains its poor track record in curbing greenhouse gas (GHG) emissions, with the Organisation for Economic Co-operation and Development (OECD) reporting last year that Australia’s 2010 carbon emission rate was 25 tonnes per person, higher than the per capita emissions of any other member of the organisation. Judith Leslie, who lives seven km from Rio Tinto’s Mount Thorley Warkworth mine, also believes that house values in the village of Bulga - approximately five km from three of the largest open cut coal mines in the Hunter Valley – have fallen as a result of the mine’s presence. She said that houses in the area had not sold for years and she believed it was a direct result of the presence of the mine. Brushing aside the community’s concerns, the government appears to be moving full steam ahead with coal-based projects. On Mar. 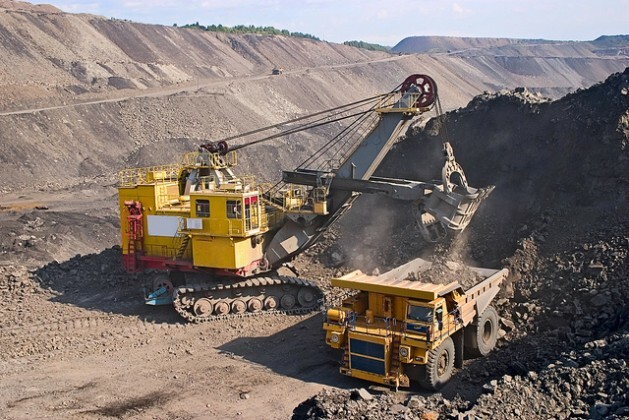 5 the New South Wales Government’s Planning Assessment Commission (PAC) stated that Rio Tinto’s Mount Thorley mine could be expanded if “stringent criteria” were met. Reasons given for approving the expansion of the mine included the “adverse economic impacts” on the towns of Singleton and Cessnock if the Warkworth and Mount Thorley projects were not approved. The PAC also argued that a further 29 million tonnes of coal could be mined from the area, providing an additional 120 jobs over 11 years, on top of continued employment for the existing 1,300 workers. It also spoke of a projected 617 million dollars in royalties to the state of New South Wales. But this projected revenue will again come at a loss. Expanding mines means threatening existing industries, like the Hunter Valley Thoroughbred Breeding industry, which contributes over five billion Australian dollars (3.8 billion U.S. dollars) to the national economy and 2.4 billion Australian dollars (1.8 billion U.S. dollars) to the economy of New South Wales. According to the NSW Department of Primary Industries, in 2010 Hunter Valley wine makers produced more than 25 million litres of wine valued at over 210 million Australian dollars (160 million U.S. dollars). The total value of investment expenditure that is directly associated with the grape and wine industry exceeds 450 million Australian dollars (343 million U.S. dollars) each year. According to the Department, combined vineyard and tourism industries provide 1.8 billion Australian dollars (1.3 billion U.S. dollars) to the New South Wales economy. All this revenue could be lost of mines are expanded at the expense of other, more sustainable industries. According to new studies out this year, the health costs associated with the five coal-fired power stations located in the New South Wales Hunter Valley, about 120 km north of Sydney, are estimated to be around 600 million Australian dollars (456 million U.S. dollars) per annum. CAHA’s convenor, Fiona Armstrong, told IPS that CAHA aims to draw attention to Australia’s health and energy policy in light of its heavy dependence on fossil fuels. “Without changing our energy choices, we are not going to be able to act effectively on climate change,” she contended. She pointed out that the Hunter Region, one of the largest river valleys on the coast of New South Wales, is one of the most intensive mining areas in Australia. Hunter Valley produced 145 million tonnes of coal in 2013. Keeping in mind a conversion rate of 2.4 tonnes (2.4 tonnes of carbon dioxide emitted for each tonne of coal produced), experts say that coal mined in the Hunter Valley in 2013 produced the equivalent of 348 million tonnes of carbon dioxide. According to the NSW Minerals Council, mining in the Hunter Region employs over 11,000 fulltime workers. It contributes 1.5 billion Australian dollars in wages and contributes 4.4 billion Australian dollars to the local community through direct spending on goods and services, as well as to local councils and community groups. But these riches come at a high price. The Hunter Valley is known for its vineyards, horse studs and farming areas, all of which are threatened by extensive mining in the region. Addressing a community meeting in the inner Sydney suburb of Glebe this past February, John Lamb, president of the Bulga Milbrodale Progress Association, spoke about the cost of mines on local communities, and the uncertainty wrought by their inability to fight against the rampant growth of the industry. Lamb’s Association previosly fought the expansion of the Mount Thorley Warkworth coal mine by the multinational mining giant Rio Tinto. Dust from coal mines, he said, coats the roofs of people’s homes and runs into their rainwater tanks, polluting the community’s water supply. Day and night, noise is a constant issue. Lamb also noted the impact of mining on land values in the area. The village of Camberwell in the Hunter Valley, for instance, which is surrounded by mines on three sides, only has four privately owned homes – the rest are occupied by miners or are derelict. Yancoal, the owner of the Ashton mine – 14 km northwest of the town of Singleton in Hunter Valley – owns 87 percent of homes in the area. Wendy Bowman, one of the last remaining residents of Camberwell village who has farmed in the Valley since 1957, is extremely concerned about the extent of mining in the area. She lives on a farm at Rosedale, between the towns of Muswellbrook and Singleton, and she is refusing to leave the area. She left her previous farm when the dust and water pollution caused by the Ravensworth South open cut mine became impossible to live with. In a video on the CAHA website, she says that she has dust in her lungs and that she has lost 20 percent of her lung capacity. But she is far more concerned about the health of the children in the area than she is about her own medical condition, and the consequences for the Department of Health in 20 or 30 years time. According to the World Health Organisation (WHO), coal mining and coal combustion for electricity generation is associated with high emissions of sulphur dioxide and nitrogen oxide, both of which react to form secondary particulate matter in the atmosphere. Complex air pollutants such as these are known to increase the risk of chronic lung and respiratory disorders and disease, including lung cancer, and pose additional threats to children, and pregnant women. CAHA states that most health and medical research on coal-related pollution focuses on fine particles measuring between 2.5 and 10 micrometres in diameter (PM 2.5-PM10), which are particularly damaging to human health. According to the CAHA report, emissions of PM10 increased by 20 percent from 1992-2008 in the Sydney Greater Metropolitan area, an increase that is attributable to the increase in coal mining in the Hunter Valley. The report states that while at one time the Hunter Valley was “renowned for its clean air”, in 2014 it was identified as an “air pollution hot spot”. Based on a conservative estimate by Mike Berners-Lee in his book “How Bad Are Bananas?”, the 348 million tons of Hunter Valley carbon dioxide pollution each year will kill 2 million humans each year later this century. Berners-Lee’s book is still the best on carbon footprints. His estimate is conservative. Every 150 tons of CO2 pollution will kill one more human. Most of the deaths will be due to starvation caused by global warming markedly reducing world food harvests. Australia has blood on its hands. Conservative Prime Minister and global warming denier Tony Abbott is guilty of negligent homicide on a massive scale. So are all of the greedy and ignorant Australians who voted him into office. The carbon bullets we fire into the air today won’t kill for decades from now, but kill they will. Pope Francis is right. This is a moral issue. We must stop burning coal today. Leave in all in the ground. During World War II, many countries had to all of a sudden change their sources of energy. Australia is blessed with fantastic solar and wind energy. Electric cars already have very high consumer satisfaction ratings and battery technology is improving rapidly. Trucks, buses, tractors, and trains can run on electricity, too. Beef is unhealthy. Chicken or going vegan are much more healthy with a far smaller carbon footprint. We have to change now, not next year. It is highly immoral to kill other human beings and even your own grandchildren. Wake up, Australia. Wake up America. As an outsider it is simply jaw-dropping stuff to watch Australia commit economic suicide. Investing in an archaic and structuraly failing 19th century technology just as the next global renewables industrial revolution hits critical mass is the very definition of political insanity. To further enrich a few dozen billionaiires for a few more years? Good grief! Did you guys actualy ELECT this freak? What were you thinking of? Often I think some politcians pretend to be stupid to connect to the public but so far as I can tell this idiot is the genuine article. He really IS that stupid. It must be really embarrassing for you to have this idiot representing you on the world stage as he just reinforces all the old stereotypes about Australians being scientificaly illiterate hicks etc. He is simply cringe-inducing. Australia could have been a world leader in solar but they have handed it all to China on a plate. No mention of the much worse power station emissions from the brown coal open cut fields of the Latrobe Valley. Oh, that’s right, it’s not NSW. Like Australia, many states in the US have little in the way of plans to reduce fossil fuel emissions including those from coal. The Indiana Department of Environmental Management may just ignore the EPA requirement that we develop a plan to reduce CO2 emissions, even though > 80% of our state’s electricity comes from coal. I try to make the following economic argument to my Indiana legislators. As some point in the next decade or so, the need to stop burning coal will be accepted by a great majority of the voting public and states that have dragged their feet in switching to renewable energy will experience the high cost of a rapid change in power supply. Of course, concerns about are children and grandchildren are another reason to stop using coal.